Since the 1995, industries of all types have relied on AmTech International for high quality precision mechanical parts. AmTech International is an approved Tier I and II supplier world class OEM companies in the United States, Canada and Mexico. All of our components are manufactured with the highest quality materials, from state-of-the-art Plants with very competitive pricing. Headquartered in New Jersey, with offices and engineers in Mexico and Taiwan. JIT Warehouses in the United States, Mexico and Europe. TS16949 and ISO9001 certified Plants. 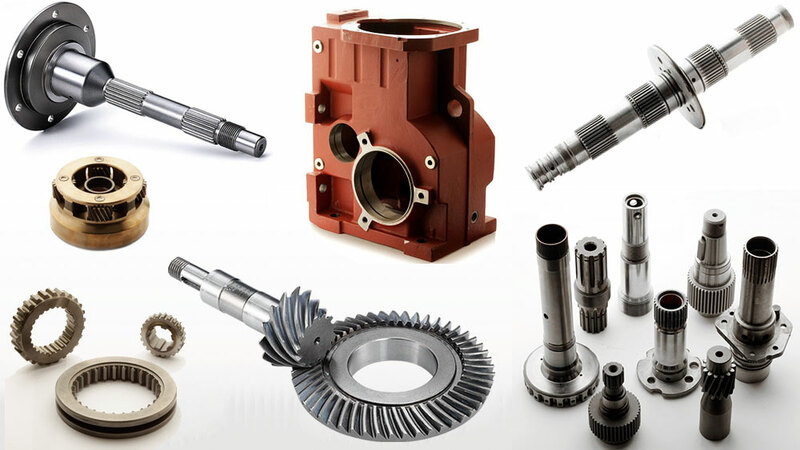 Precision gears: Spiral Bevel, Straight Bevel, Zerol Bevel, Miter, Helical gears, Spur gears, Internal Ring Gear, Cluster Gear, Ring & Pinion Sets, Worm Sets, Planetary Drives and other custom gears. Precision shafts: Outer Spline, Inner Spline, Gear Shafts, Forged shafts, Laser Welded shafts, Friction Welded shafts, Pinions, Worms and Simple Shafts. Machined casting: Die Casting, Gravity Casting, Investment Casting, Sand Casting and MIM. Machined forging: Cold Forging and Hot Forging. For more information about our precision mechanical parts, please contact us at (732) 972-5400 and one of our experienced associates will gladly assist you. You can submit a request for quote online.